The Turkish government’s mixed signals regarding its response to the wide spread protests in Turkey continues. On the one hand, Prime Minister Erdogan rebuffed Members of European Parliaments’ (MEPs) calls to end the excessive use of force by police and to bring those responsible for police violence into justice. 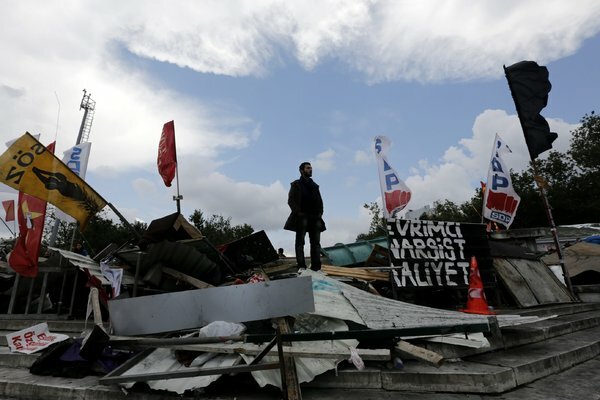 On the other hand, the Prime Minister has held a surprise meeting for a second consecutive day with a delegation comprised of members of the Taksim Solidarity Platform, which was at the center of the protests since the first day, and artists who had been outspoken in their support for the protesters. Amnesty International released a public statement today and welcomed this first step taken by the authorities to respond to protesters after 3 weeks of police brutal crack down. However, this is far from over – even while negotiations were taking place, police were still using disproportionate force against peaceful protestors in Ankara. According to the Turkish Medical Association’s latest report, nearly 7,500 protesters have been injured, over 200 of them seriously, and there is at least four confirmed death across Turkey. We will keep monitoring the situation closely and will keep you updated. Meanwhile, please continue to appeal on the authorities to end abusive use of force, carry out independent, impartial and prompt investigations into allegations of abusive force and prosecute those found to be responsible, and ensure the right to freedom of peaceful assembly. For more information on Amnesty’s updated action, see here. This entry was posted in Uncategorized and tagged Amnesty International, Erdogan, excessive force, Freedom of Assembly, Freedom of Expression, Gezi Park, Prime Minister Erdogan, Security, Taksim, taksim square, Turkey, turkish security forces. Bookmark the permalink.